Weekly Climate and Energy News Roundup #196 | Watts Up With That? Model Validation: The past two TWTWs focused on major issues regarding the EPA’s finding that greenhouse gases, carbon dioxide (CO2) in particular, endanger human health and welfare, — the Endangerment Finding. These issues included the divergence between atmospheric measurements and surface measurements and the absence of the so-called “hot spot,” which the EPA erroneously claimed was the distinct human fingerprint of global warming. This TWTW will address the failure of the UN Intergovernmental Panel for Climate Change (IPCC) to validate a global climate model. Future TWTWs will discuss other major issues such as measurement issues and explanations for so-called “missing heat,” which may not be missing at all. All these issues are fundamental to the EPA’s endangerment finding. Probably the most persistent critic of the failure of the IPCC, and its supporters, the Climate Establishment, to validate a global climate model is Vincent Gray of The New Zealand Climate Science Coalition, who has been an expert reviewer of the scientific basis for all five IPCC Assessment Reports, from 1990 to 2013. In the process, he has submitted thousands of comments, and, according to reports, was influential having the IPCC change its terminology about the results of the global climate models, now calling the results “projections” rather “predictions.” Gray’s latest book and excerpts can be found in the links below. · There are huge uncertainties in the model outputs which are recognized and unmeasured. They are so large that adjustment of model parameters can give model results which fit almost any climate, including one with no warming, and one that cools. · No model has ever successfully predicted any future climate sequence. Despite this, future “projections” for as far ahead as several hundred years have been presented by the IPCC as plausible future trends, based on largely distorted “storylines”, combined with untested models. · The IPCC have provided a wealth of scientific information on the climate, but have not established a case that increases in carbon dioxide are causing any harmful effects. “On page 58 of the book, he identifies what is one of the most serious limitations of the computer models. In short, the projections (predictions) of climate models are interesting human artifacts, but with no logical validity. As Ball discusses, such validity will require extensive testing, a task largely ignored. SEPP adds that validation would require extensive testing of the assumptions in the models and what Freeman Dyson calls “fudge factors” (quote of the week). Such criticisms of the IPCC’s work were available prior to the EPA’s 2009 endangerment finding – a finding which failed to address these deficiencies. See links under Challenging the Orthodoxy. No doubt Representative Smith will become a target for the Administration and its supporters from groups that favor raising the costs of energy in the name of environmentalism. It will be interesting to observe how this opposition takes shape. See link under Challenging the Orthodoxy. Sink Re-emerges? After the Fourth IPCC Assessment Report (2007), several researchers claimed that the carbon dioxide absorption of the southern ocean (including the Antarctic Ocean) was declining. However, new research suggests that such a trend stopped around 2002, and the southern sections of all three major oceans (Pacific, Atlantic, and Indian) are absorbing CO2, as before, but at different rates. The abstract concludes: “The large decadal variations in the Southern Ocean carbon sink suggest a rather dynamic ocean carbon cycle that varies more in time than previously recognized.” In short, do not assume short-term variation is a long-term trend, especially in climate studies. See links under Changing Seas. AMO: Along the lines of changing perceived trends, Climate Etc. and WUWT present a discussion on the Atlantic Multidecadal Oscillation (AMO), 60 to 70-year periods of warming and cooling of the sea surface in the Northern Atlantic, for which there is no universally agreed upon single measurement. It may be a bit early to definitively tell, but the AMO may have shifted to a cooling phase. If so, then, as hurricane experts Klotzbach, Gray, and Fogarty state, historic records indicate that, for the near future, Atlantic hurricane frequency and intensity will decline, as compared to the early part of the 21st century. Thus, the administration’s claims of severe weather events from carbon dioxide caused-global warming may be hollow for the US Atlantic region. See links under Changing Weather. Other Weather Events: The Blob is an area of warmer than usual water, at and near the surface, in the Pacific Ocean off the US Pacific northwest and southwest Canada. No one has been able to identify a cause, or a similar event in the sea records in the same area going back about 100 years. The Blob is causing warming on land near its location and disrupting local and regional weather patterns. As David Whitehouse points out, the Blob can only be identified as an unusual weather pattern, not a climate pattern, unless it persists for a number of years. Meteorologist Cliff Mass of Washington State has an amusing post on an imaginative battle between the Blob and a monster El Niño. A number of groups have predicted such an El Niño, but it has not yet clearly materialized. As in 1998, such an El Niño would cause a warming spike in both surface and atmospheric temperatures; but, not necessarily indicated global warming. See links under Changing Weather. Capacity: The US Energy Information Agency (EIA) released a report on electric generation from various sources (2008-2012 average) for various countries and regions. For the US, nuclear production was 90% of capacity, fossil fuels was 41% of capacity; hydropower was 40%; and solar and wind was 27%. Fossil fuels are often used for standby and shoulder generation as well as baseload. In general, in the US, petroleum is used for back-up. A more detailed analysis shows that solar generates an average of 15% of capacity and wind generates an average of 27% of capacity. Promoters of wind and solar often omit such details. Yet, wind and solar usually receive first preference for distribution (use). Thus, when a wind promoter states that his project will generate enough electricity for 100 homes, he is actually saying that, on average, his project will generate enough electricity for 100 homes – 27% of the time! The source and cost of the back-up are immaterial to the promoter. See link under Energy Issues – US. Number of the Week: 38%. A recent US Government Accountability Office (GAO) report states: “The thermoelectric power industry, for example, accounted for 38 percent of all freshwater withdrawals in the United States in 2010.” The dependence on fresh water for cooling by nuclear, coal, and gas power plants explains why the environmental industry bitterly opposes this use, even though the environmental industry have failed to demonstrate any pollution of the water. Raising the temperature by a minor amount is not pollution in any traditional sense. See link under Energy Issues – US. Democrats reject green schemes that raise energy costs for the non-rich. Governor Jerry Brown “hailed California as a model of green virtue at the Vatican this summer and had hoped to flaunt sweeping new anticarbon regulations at the U.N’s climate-change summit in Paris this year. “But now his party has mutinied. Democrats hold near supermajorities in both legislative chambers with 52 of 80 seats in the Assembly. Yet this week 21 Democratic Assembly members representing middle- and low-income communities—including 11 blacks and Latinos—joined Republicans to kill a bill mandating a cut in state greenhouse gas emissions to 80% below 1990 levels by 2050. “The most morally destructive product in California these days is green government. Take the 33% renewable electricity mandate. Since 2011 solar energy has increased more than 10-fold while wind has nearly doubled. But during this period electricity rates have jumped 2.18 cents per kilowatt hour—four times the national average. Inland residents and energy-intensive businesses have been walloped the most. “California’s cap-and-trade program has also hurt manufacturers, power plants and oil refiners, which are required to purchase permits to emit carbon. Between 2011 and 2014, California’s manufacturing employment increased by 2% compared to 6% nationwide, according to the federal Bureau of Labor Statistics. “The chief beneficiaries of the Golden State’s green government have been the well-to-do, while low- and middle-income Californians have borne most of the regulatory costs. The Bay Area and Los Angeles regions account for 80% of the state’s electric car rebates compared to the San Joaquin Valley’s 2%. “Meantime, while job growth in the Bay Area is booming, unemployment remains high in the rest of the state. The unemployment rate is 3.8% in San Francisco and 2.9% in Palo Alto. It’s 10.4% in Fresno, 8.8% in San Bernardino and 9.6% in the refining hub of Carson—nearly four percentage points higher than in December 2007. A D.C. judge rules in favor of the House in a separation of powers case. Major Implications! 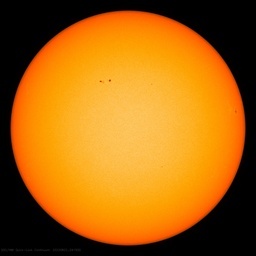 Study Shows Climate Dominance By The 200-Year Solar Cycle …Cooling 21st Century! Are the recent hot days a sign of global warming or just weather? Eye roller study: Should countries honor their climate debts? Who’s Afraid of the EPA? Has the AMO flipped to the cool phase? Link to paper: Active Atlantic hurricane era at its end? “No one knows why the Southern Oceans are doing this, and no one can say what will happen next. It seems the Southern Ocean, along with a little bit of help from the sun, means that future climate projections, especially decadal ones, have become far more uncertain. “Why should American taxpayers continue to fund dysfunctional wind energy, when even the U.S. EPA air chief, Janet McCabe admits that the EPA’s analysis shows that ‘wind power can expand throughout the Clean Power Plan compliance period, from 2022 to 2030, even if the tax credit is not renewed’? “– Mary Kay Barton in comments section. EPA: Do as We Say, Not as We Do! While the last decade was about the energy buried in the earth and how to get it out, the next decade will be about how energy already removed from the earth is moved across it. September 13, 2015 in Climate News Roundup. ← Japan: Building coal plants is "climate finance"